Elephant feet are sometimes made into waste baskets and umbrella stands. They're less commonly seen today because elephant hunting is illegal, and many poachers will leave the body and only take the tusks. 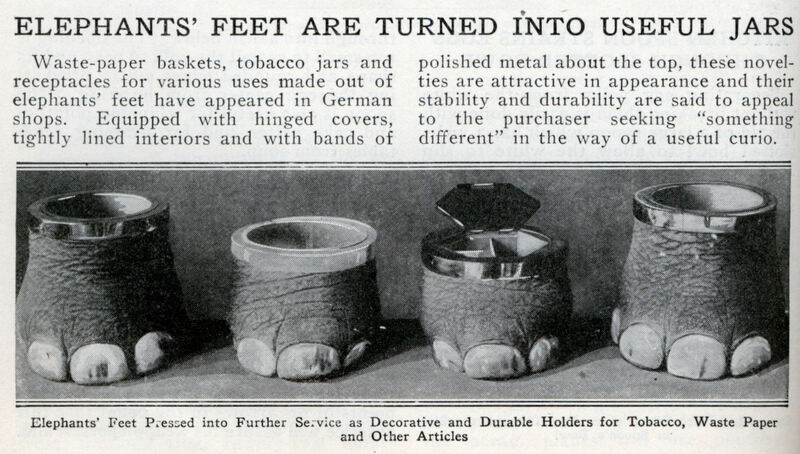 Other things like ashtrays made from gorilla's hands are also collected by certain people. "If only you had an umbrella."